View basket “Fused Glass Workshop – Friday 12th April 2019” has been added to your basket. 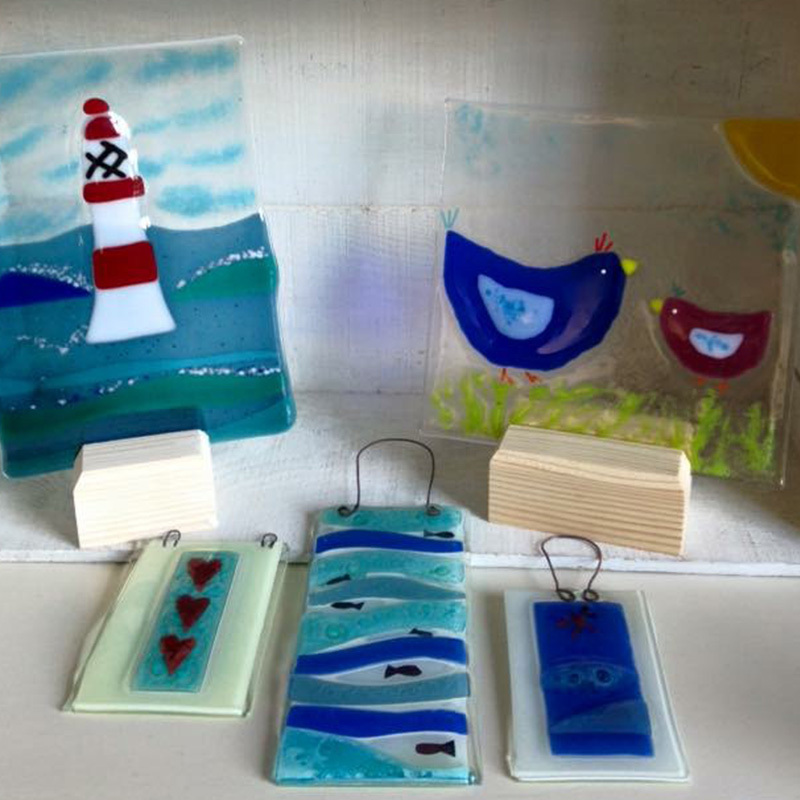 Exciting Glass Workshop – for beginners and improvers. No experience necessary! Linda’s studio near Cranborne, Dorset. A workshop for Beginners, Intermediates and those more Advanced wishing to use the workshop to create some bespoke pieces. No experience necessary, all materials supplied. Linda’s studio near Cranborne, Dorset – see the Workshop page for map and directions. 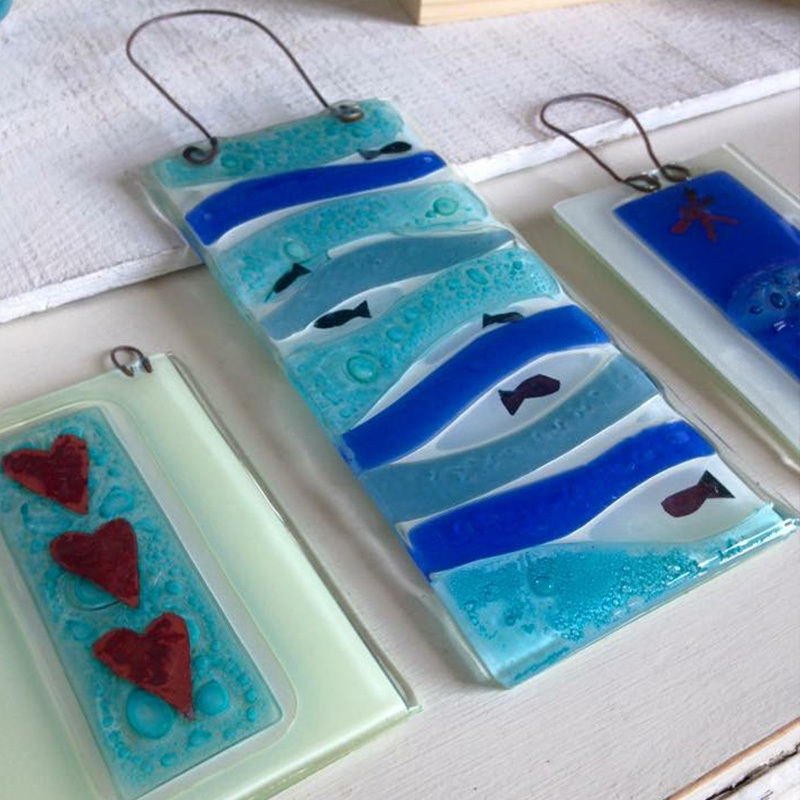 During the day you will look at the process of kiln-formed glass and learn techniques to enable you to make your own unique fused glass pieces. The morning will start with an introduction to the different kinds of glass we will be working with, some practice using the tools and how to cut glass (if needed) – all very easy! Create your own designs or use Linda’s templates and pre-cut pieces. Incorporate, glass beads, powders, coloured glass and metals for different effects. At the end of the day, your designs will be put into the kiln to be fired and will be ready for collection/posting in 3/4 days (extra charge for posting). 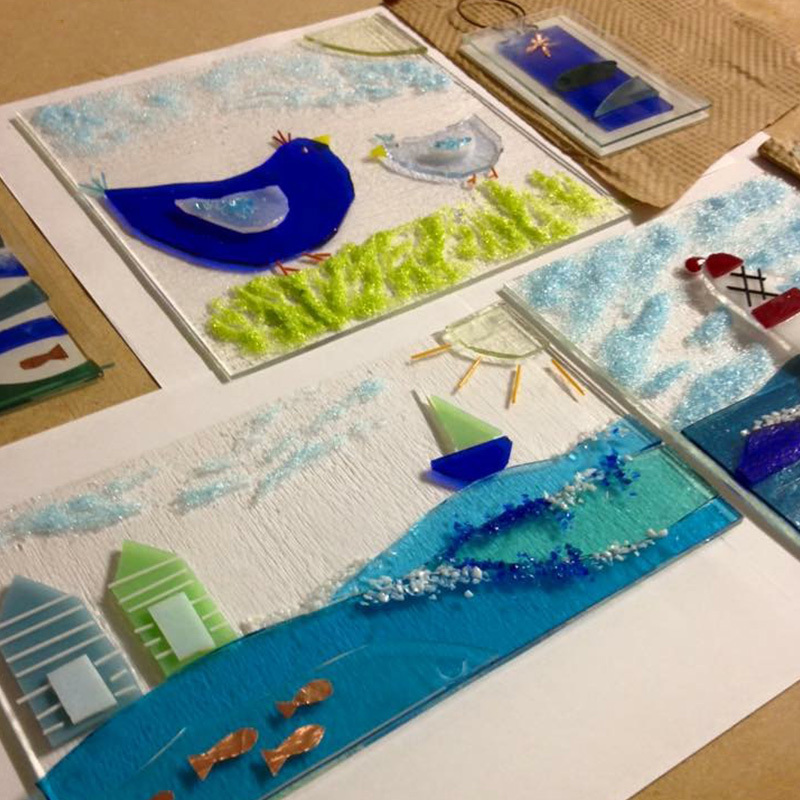 Are you interested in learning a new craft or would you just like to be creative for a day? Linda’s day workshops are aimed at both beginners interested in finding out about the glass fusing process and improvers wanting to expand their skills to create their own unique pieces. This could be the first step towards a new hobby, discovering your own creative talent or just having some fun with friends in a relaxed atmosphere. There is plenty of opportunity for one to one support if you are unsure or you can just soar with your own imagination.